On this day, you're encouraged to be a little creative; switch your profile around (avatar, signature, name, all of the above? ) to whatever you want; as long as it's not pony related. Have a favorite character from a video game or movie? Maybe another animated cartoon you really enjoy? Throw them up there for a day! A banner seems a tad extreme, yeah I notice calendar things actually do fairly well when the calendar isn't full of tons of other things. Advertise it enough, and it should be just fine ^^ Can maybe get it added into the news ticker, though. What if we recently used up all our name changes? Like with all events, it's not out of reason to ask someone to change it for you, then change it back after. I'd participate if I wasn't so lazy. Until I became a mod, which was a recent occurrence, all I used were non-pony avatars. I'll probably go back to one of the same avatars I've used before. Hmmm... No ideas come to mind as to what to switch to... But I'll still do it if I can remember. I am thinking of either using either Raphael from Teenage Mutant Ninja Turtles dressed as his vigilante alter ego Night Watcher, this old avatar I once used 10 years ago of Hiei from Yu Yu Hakusho for a touch of nostalgia or maybe surprise everyone. I'm thinking some Doctor Who or Firefly. Perhaps some Buffy? I don't know, we'll see. I'm up for it.  I can change my username 3 times, so for the 14th ONLY, I'll make my avvie and my username something non-pony. this would be impossible for me., but i will give it a shot. I mostly tend to use non-pony identities, but it'll definitely feel different seeing a good amount of people use them. Sounds splendid! I hope to find a good avatar though.